2019 edition. A mythical and misplaced masterpiece of lost soft rock and acidic folk funk by a one-hit wonderer lost in the wilderness for four decades. From the producer of Margo Guryan, writer behind Wool, Gerry Mulligan collaborator, Tarantino sound tracker, and Wendy & Bonnie confidant, Paint A Lady now emerges from folkloric obscurity. Within certain record collecting circles, especially those who gather under the umbrella that covers fragile niches like "acid folk" and "soft rock", it's difficult to imagine a time when the legendary Susan Christie album didn't exist. 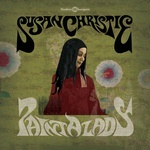 As Finders Keepers' lucky seventh release, Paint A Lady has slowly become one of the label's most requested re-releases, and with this 2019 edition, it is technically accurate to say that this pressing is the first-ever reissue of this elusive and essential LP. The oft overused term "mythical" applies to this album on many levels. Perhaps it's the woozy nostalgia found within the pop craft of Paint A Lady that has led to false rumors that original 1960s copies used to exist on the collectors market, or the bizarre claim that songs like the head-nodding title track, and the acid-drenched sound effects on "Yesterday, Where's My Mind" were just a product of a contemporary studio band trying to create a fake folk funk red herring. As a result, Christie and her producer and husband of 40 years, John Hill have happily taken the repeat phrase "unbelievable" as a compliment to their songwriting skills and foresight. The original 1969 song titles alone do seem custom-built for the nostalgia market: "No One Can Hear You Cry" might lament the unrequited yearning for a record deal which never quite followed Susan's won one-hit wonder novelty hit "I Love Onions"; similarly, "When Love Comes" might allude to the subsequent 35-year wait for the right label to eventually come along. "Echoes In Your Mind" and the aforementioned "Yesterday" could easily allude to the haunting melodies that sat in the can on John Hill's studio shelf while his projects for Margo Guryan, Wool, and Pacific Gas & Electric sat proudly in record racks before benefitting successful French cover versions or making their way on to Quentin Tarantino soundtracks. The track "Paint A Lady" itself, complete with its future-proofed sample-worthy rhythm section, seems like the perfect title for a mock rock pseudo psych contender. Remastered from the original source material; Features both updated and original liner notes.